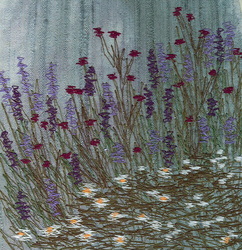 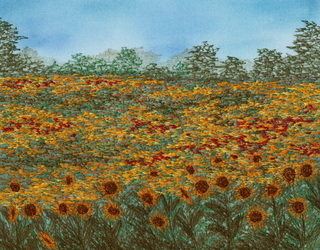 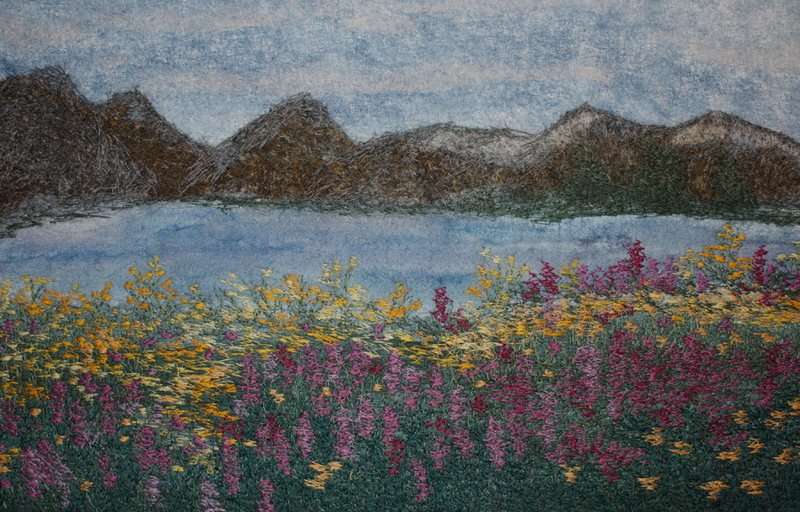 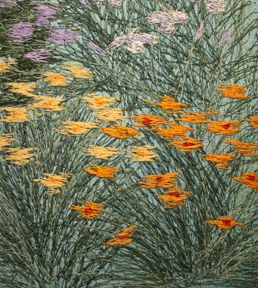 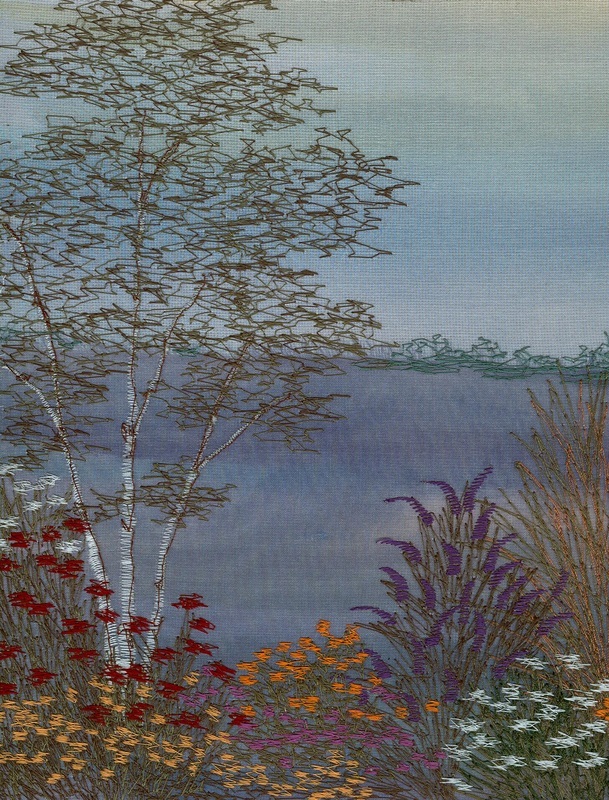 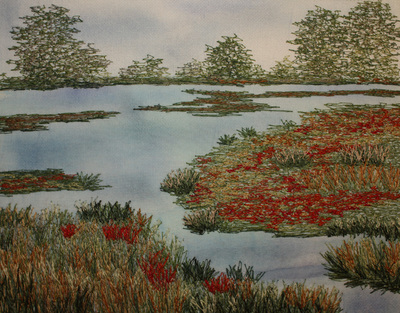 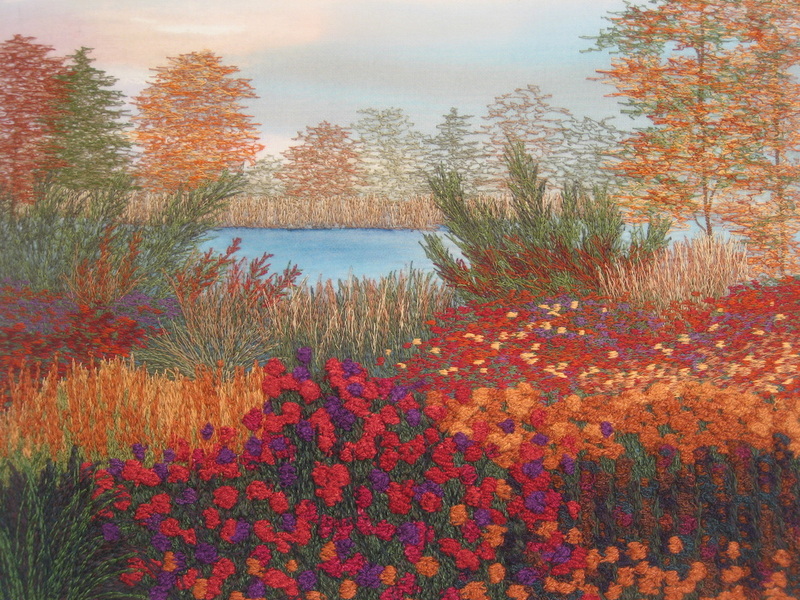 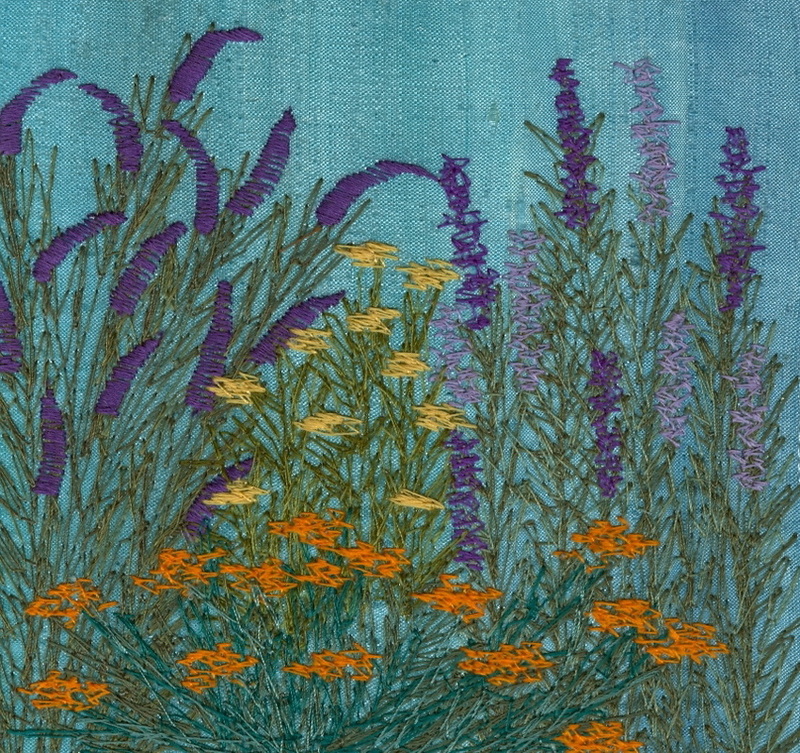 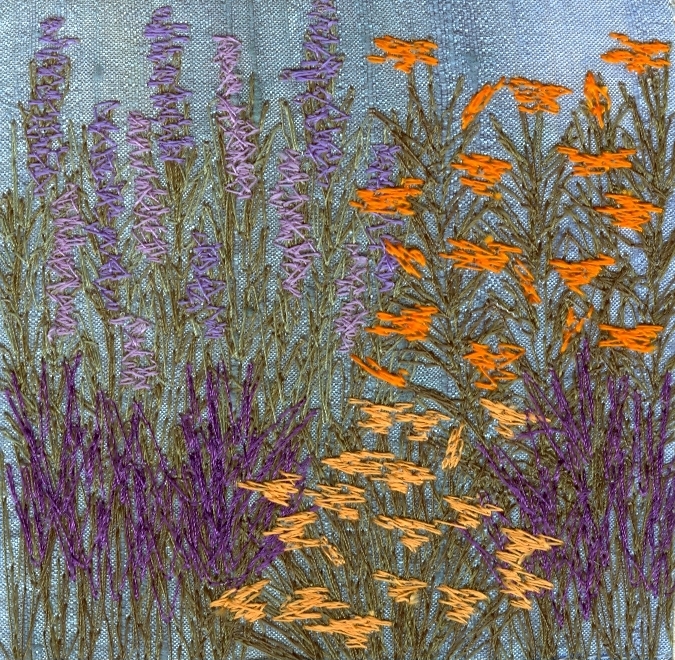 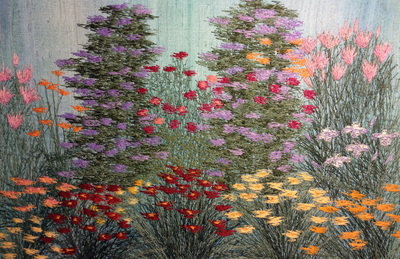 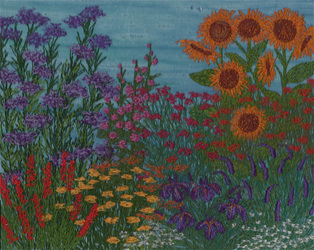 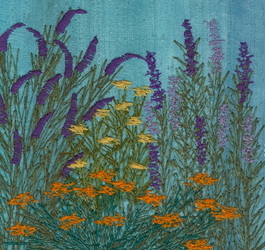 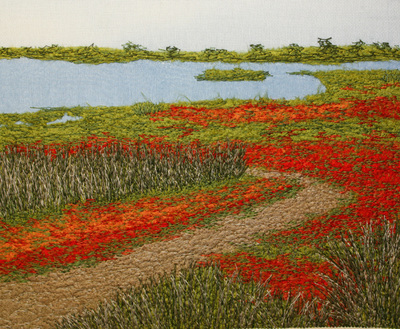 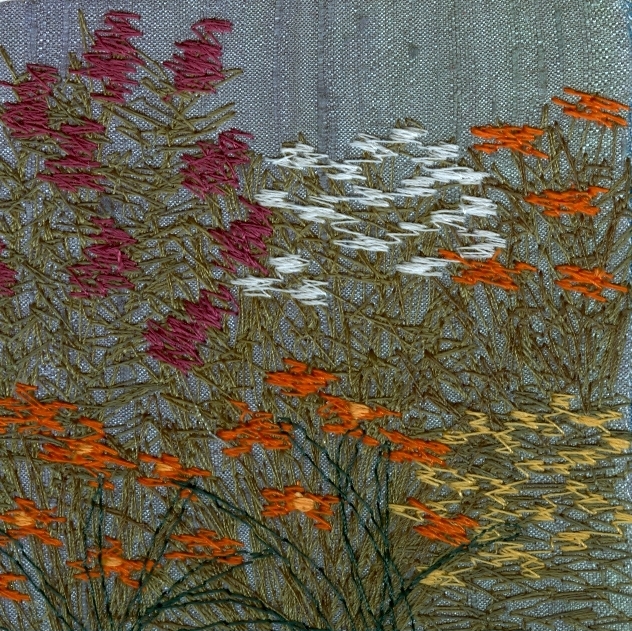 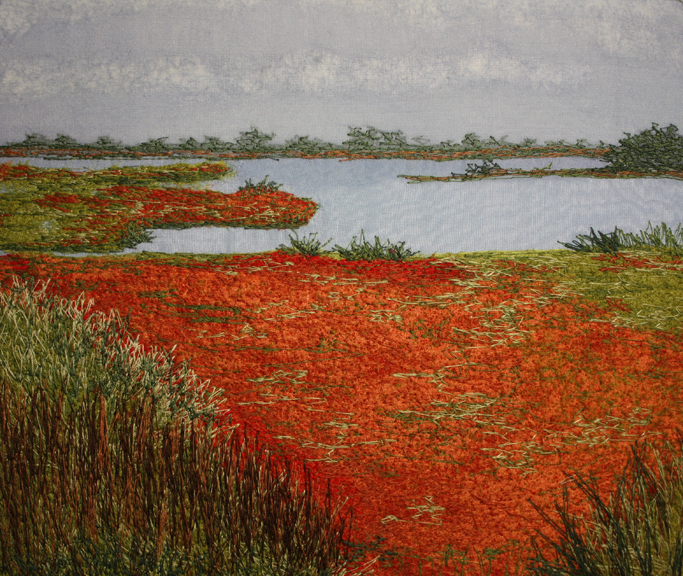 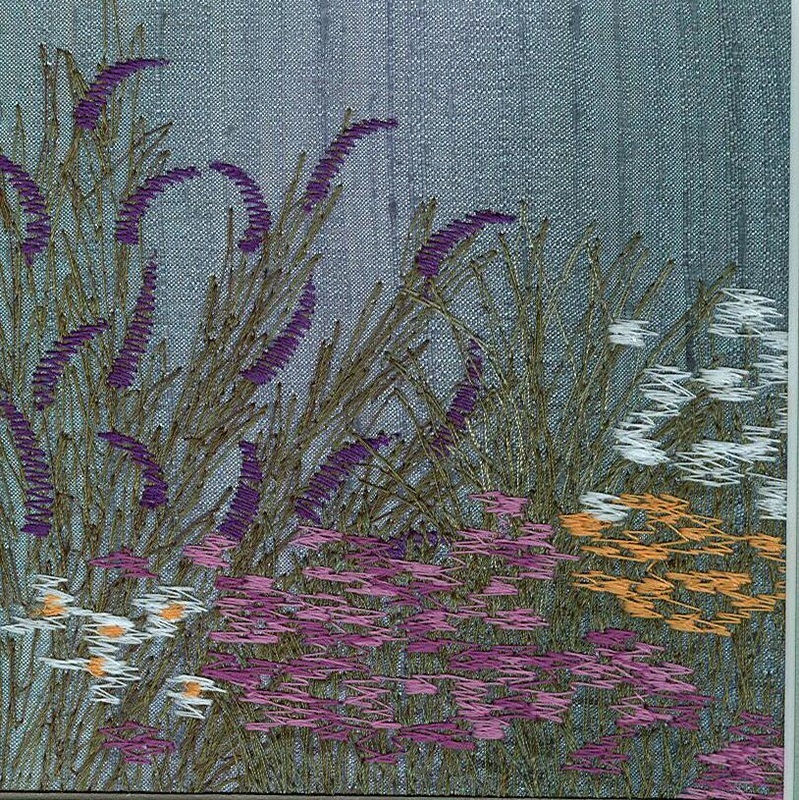 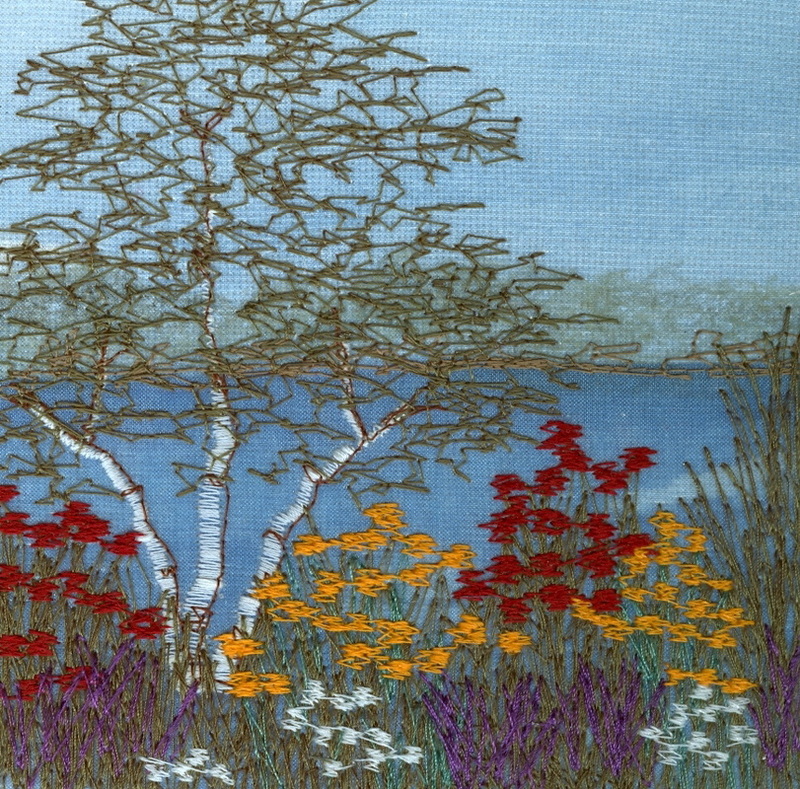 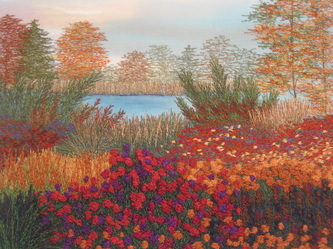 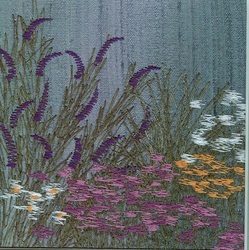 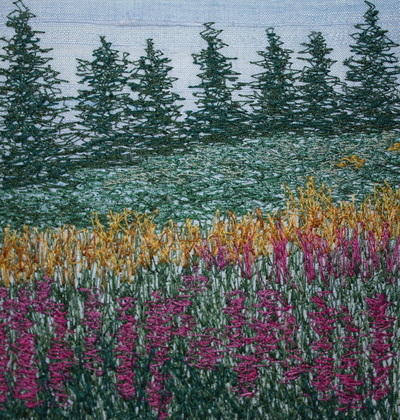 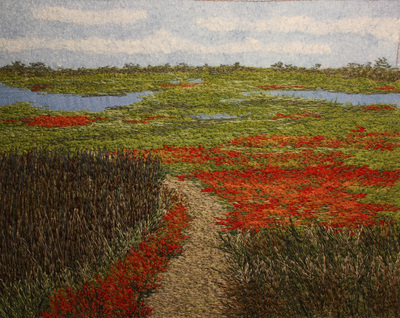 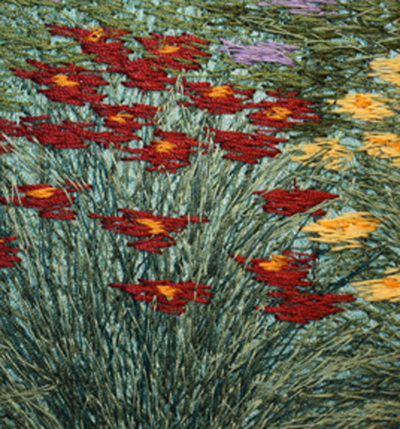 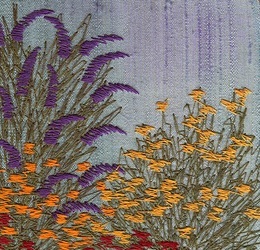 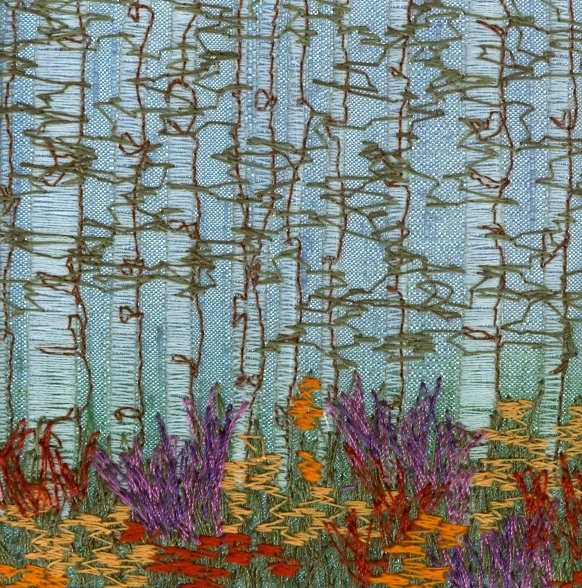 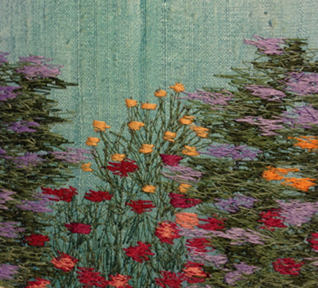 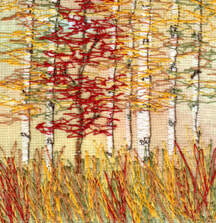 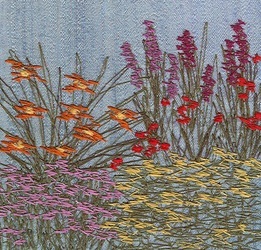 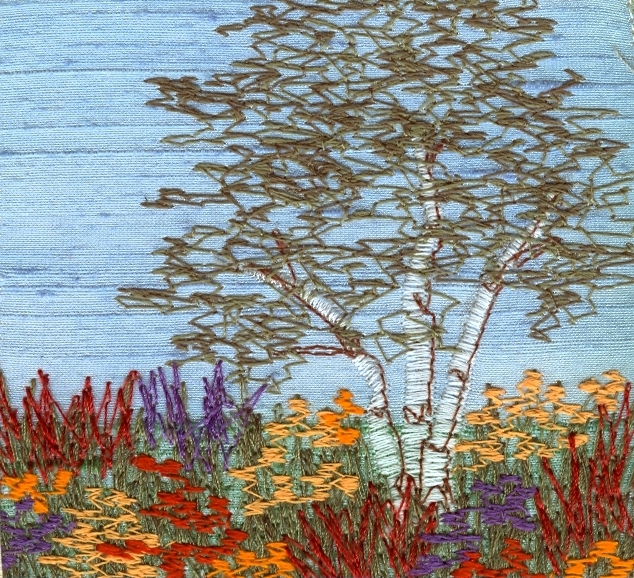 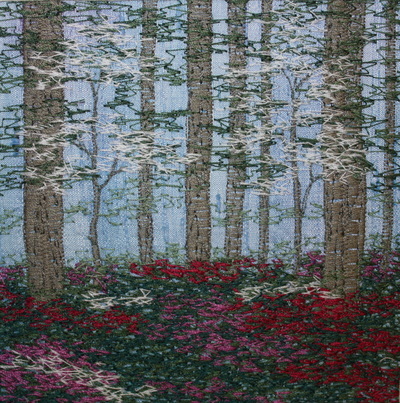 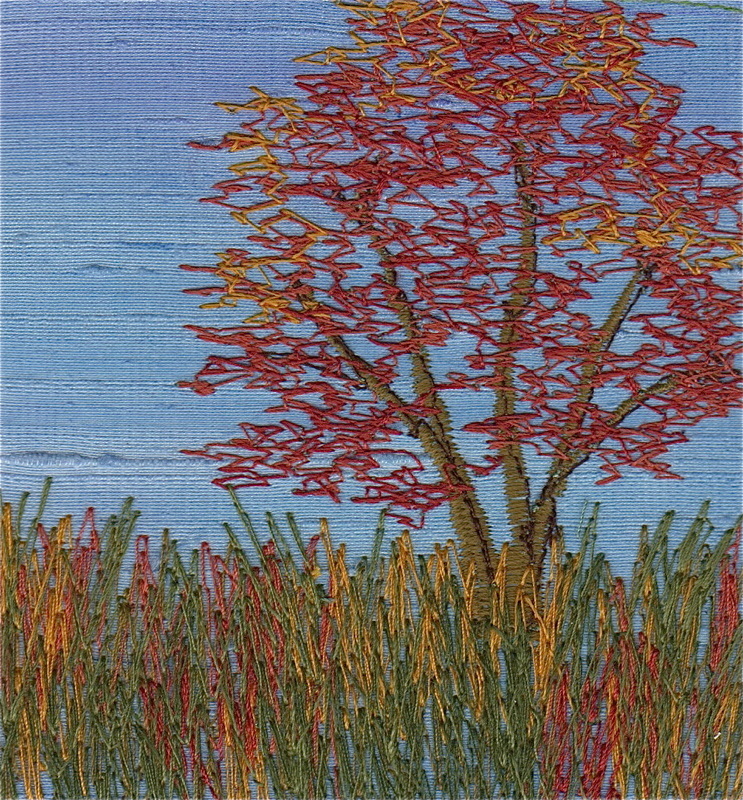 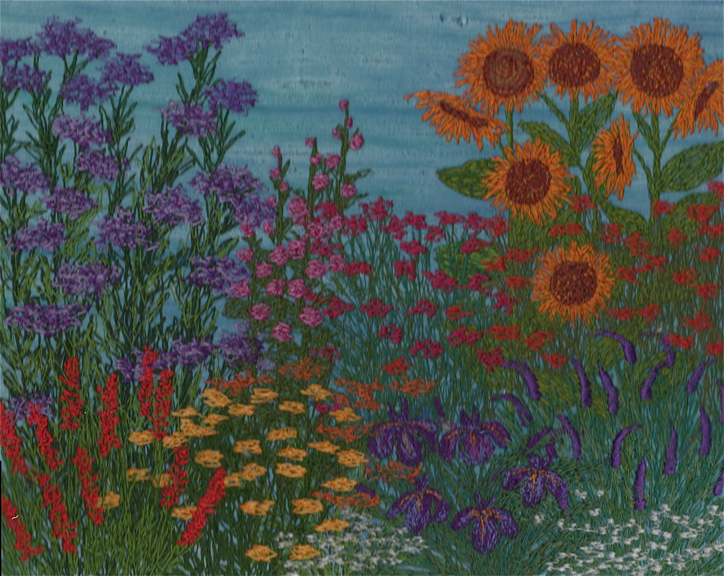 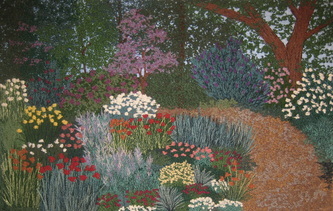 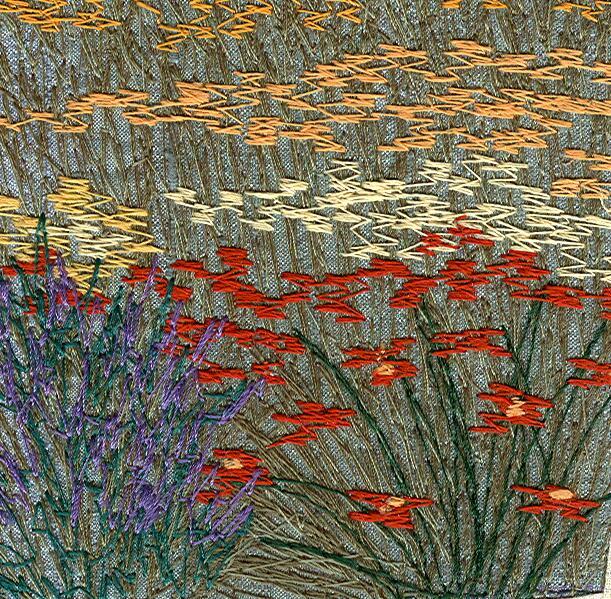 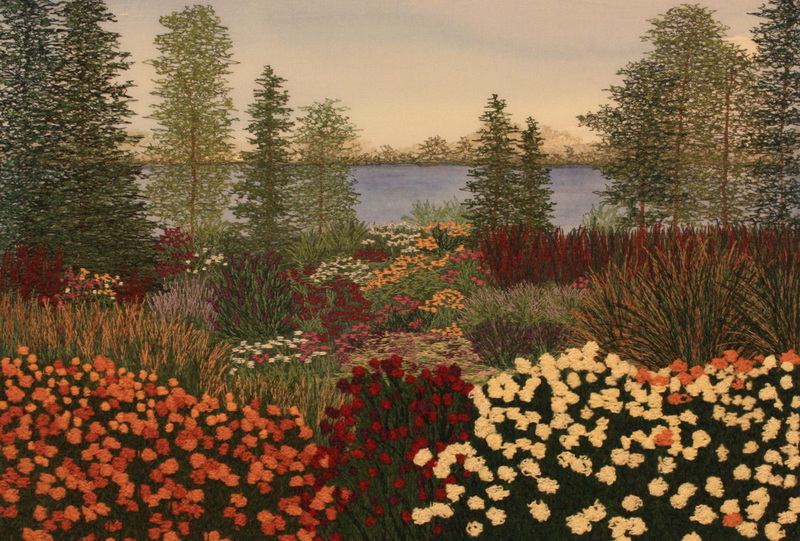 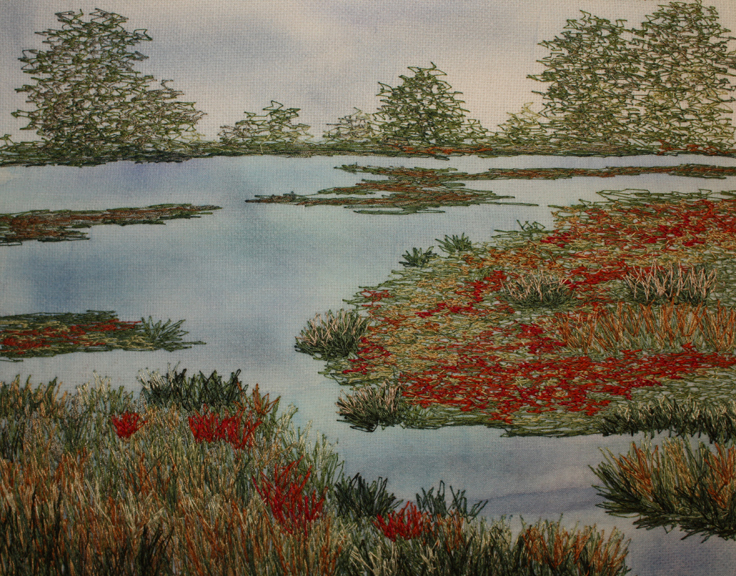 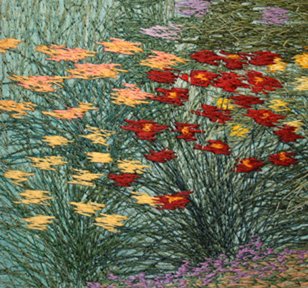 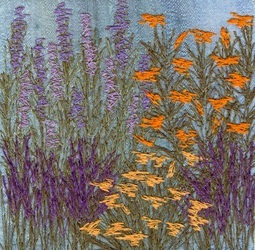 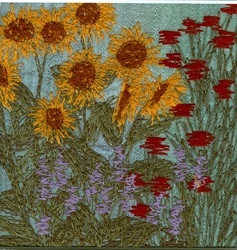 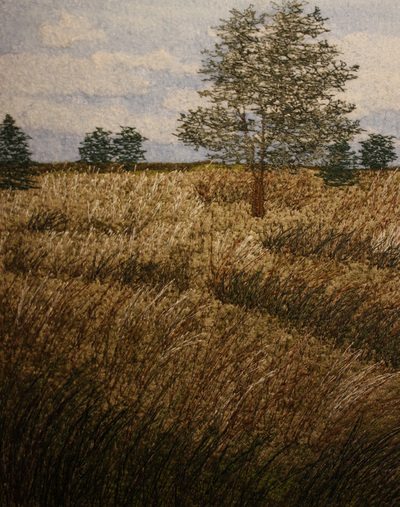 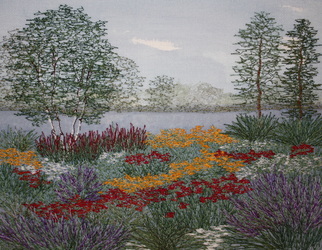 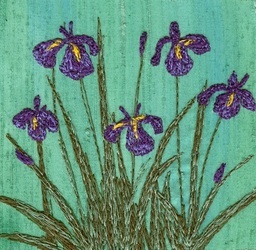 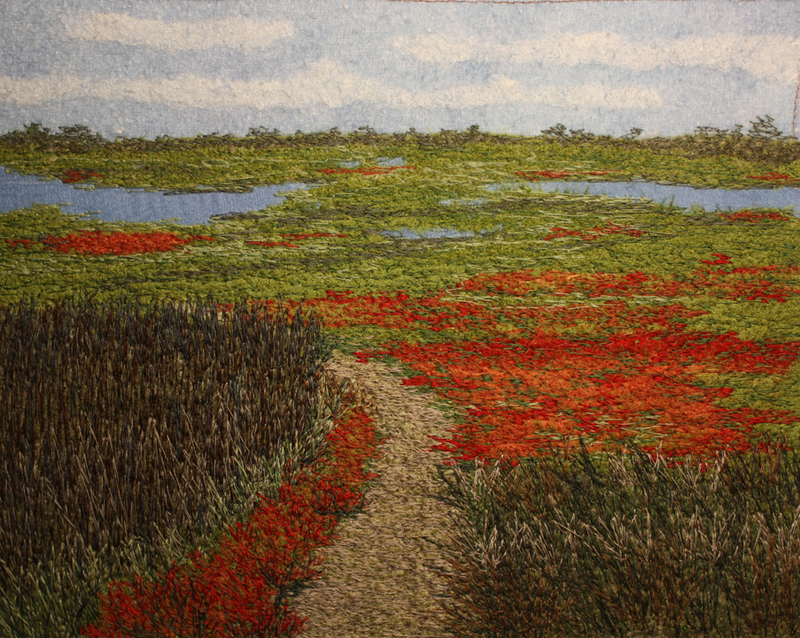 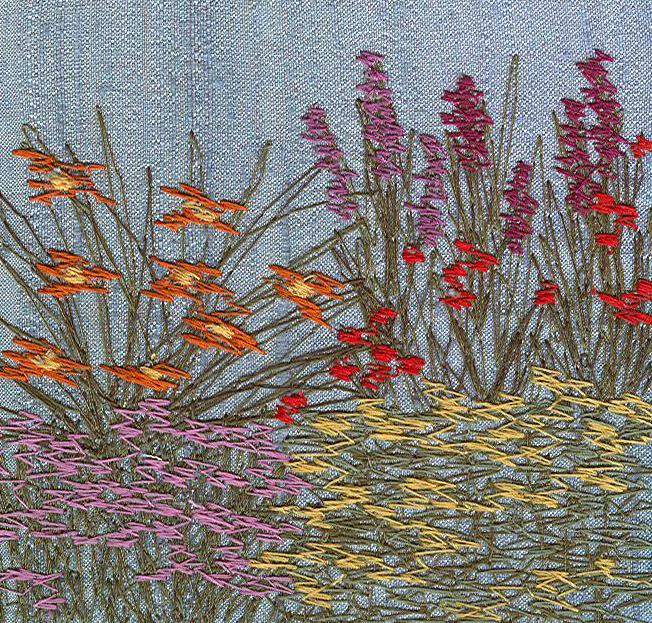 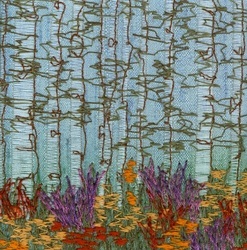 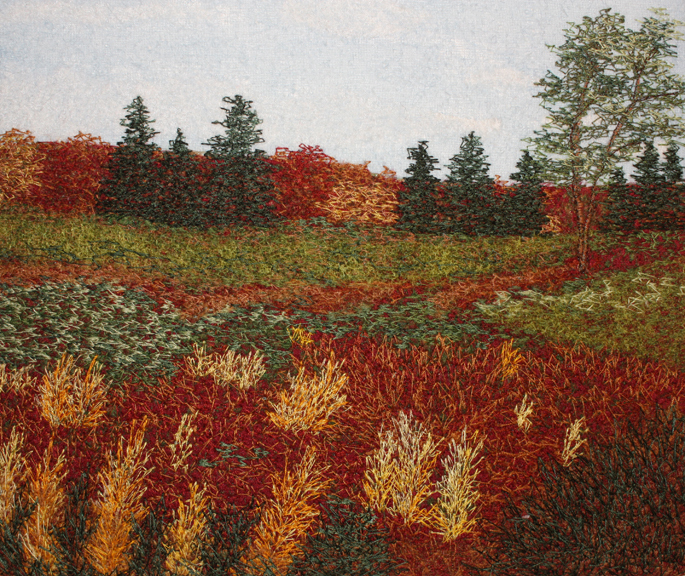 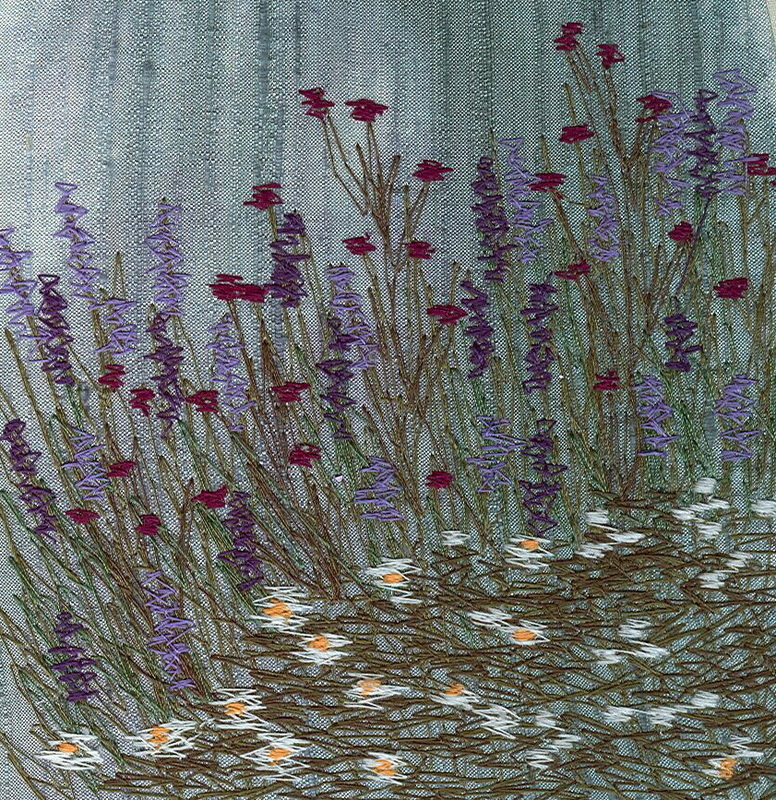 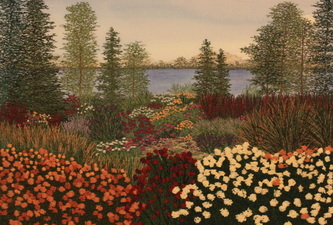 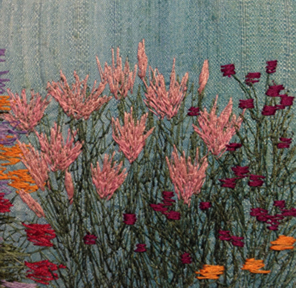 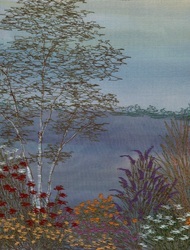 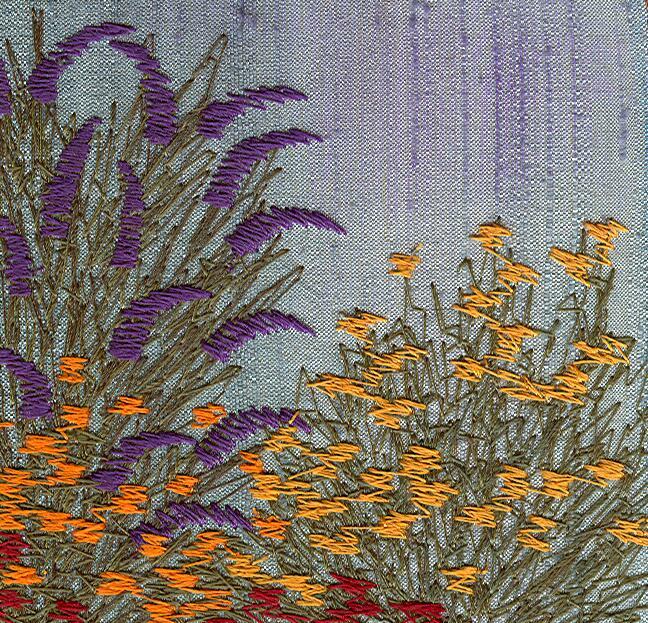 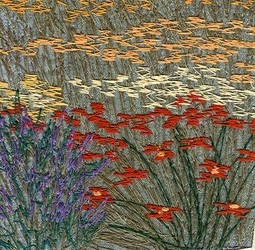 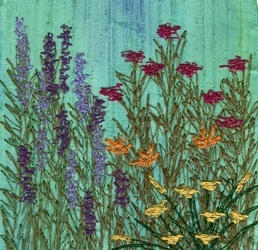 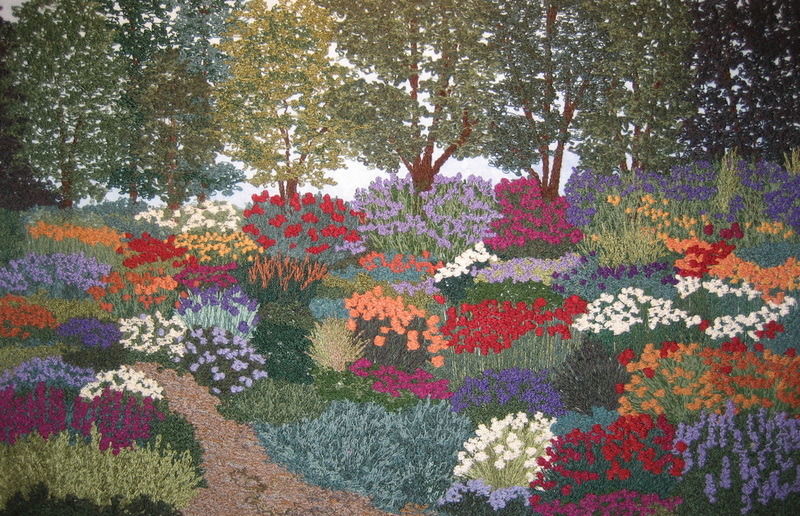 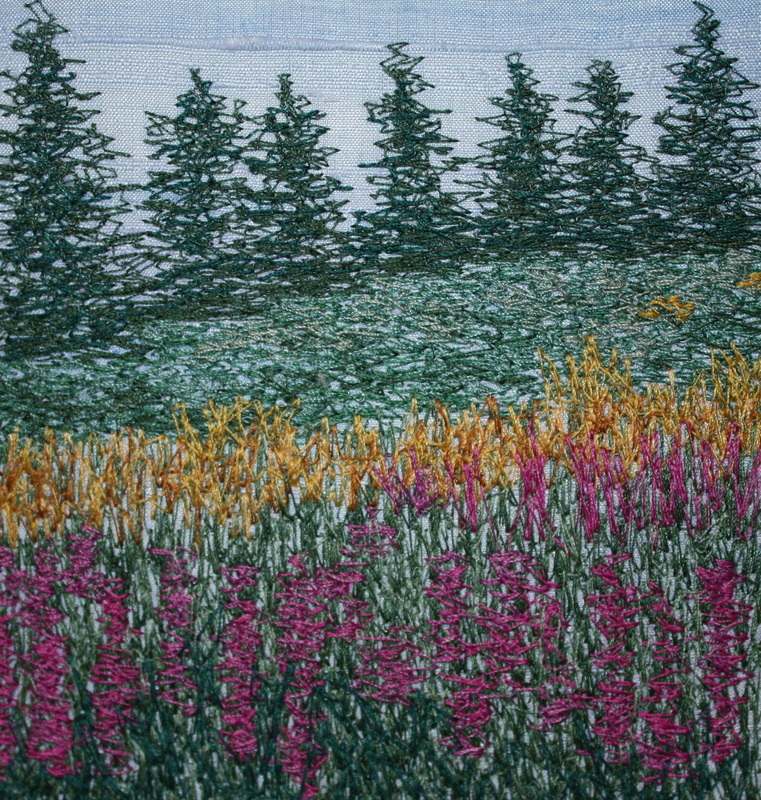 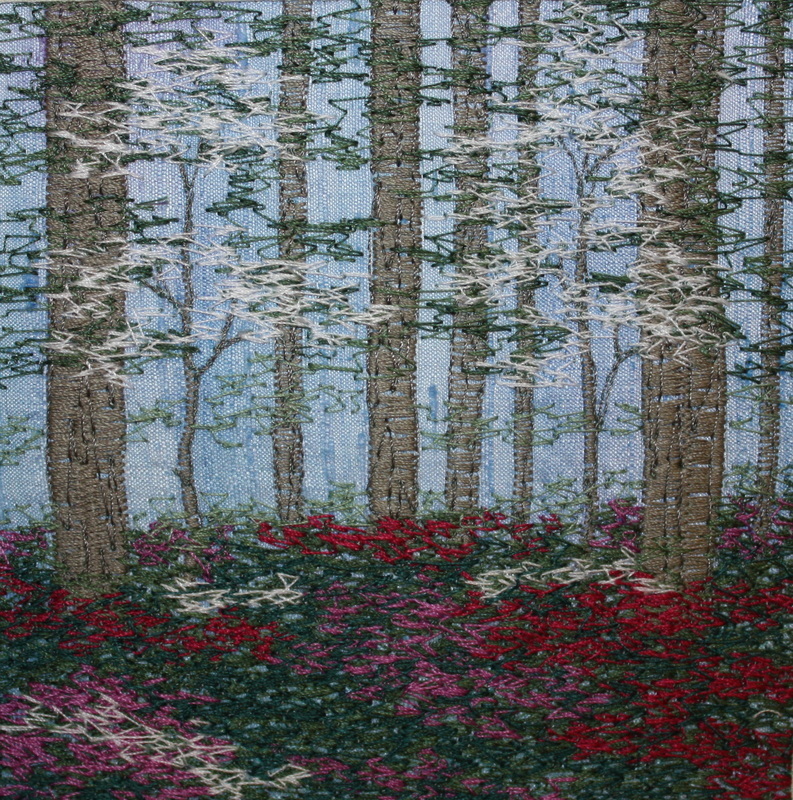 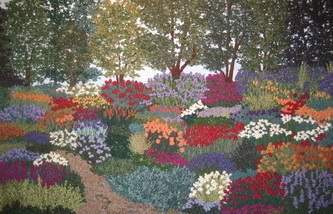 My stitched paintings meld passion for gardening with dyed silk and free-motion machine embroidery. 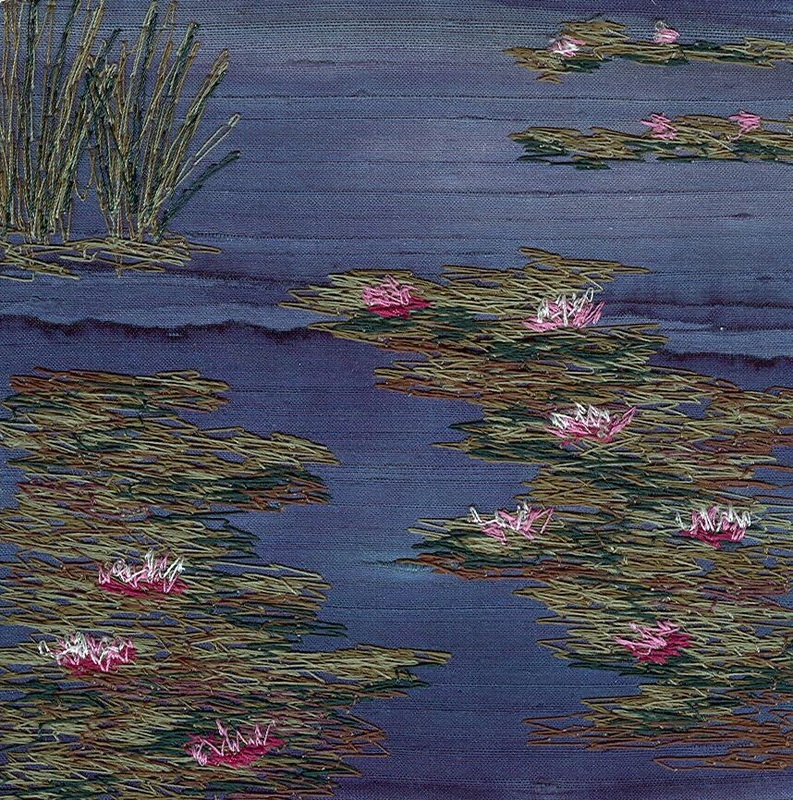 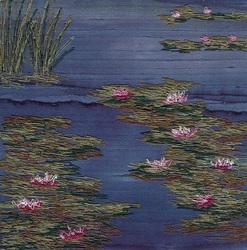 As the first step in a multi-step process, I utilize both traditional and innovative silk-painting techniques to apply silk dyes to different weaves of pure silk. 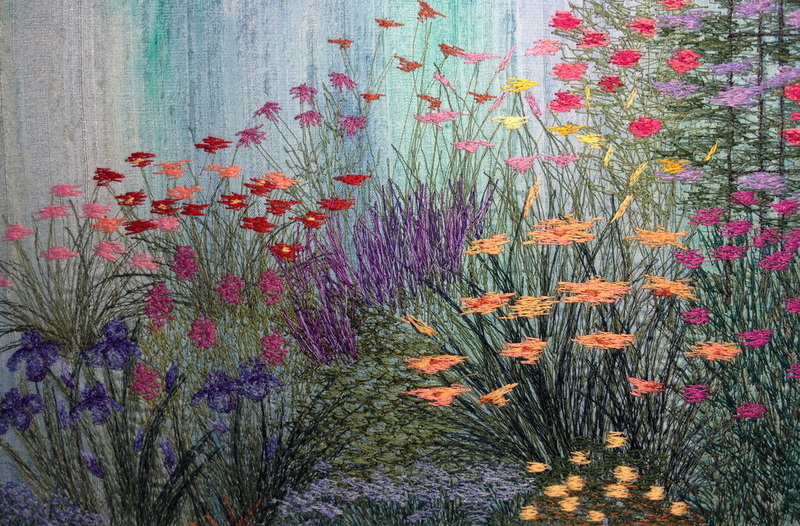 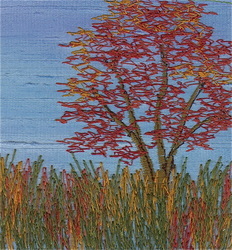 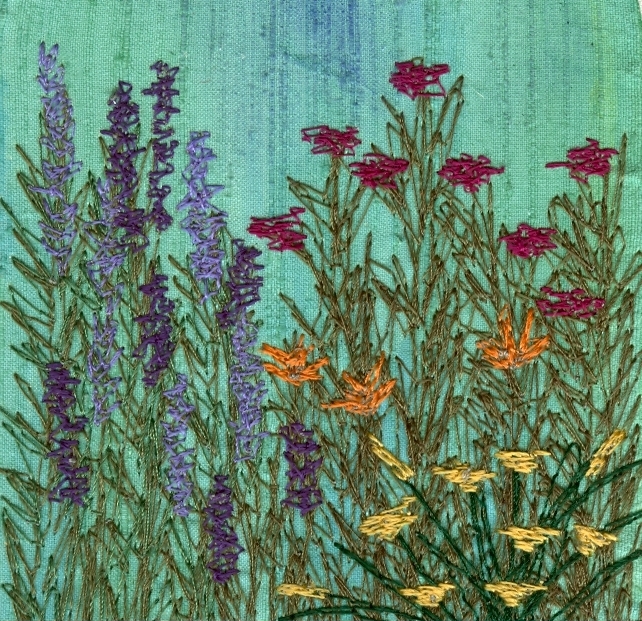 Then, using my forty year-old sewing machine as a drawing tool, I blend and mix colors by layering threads. 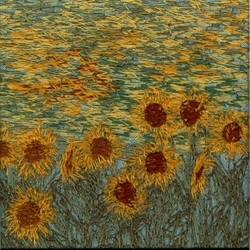 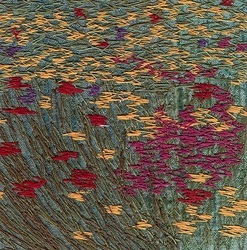 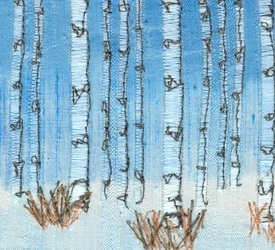 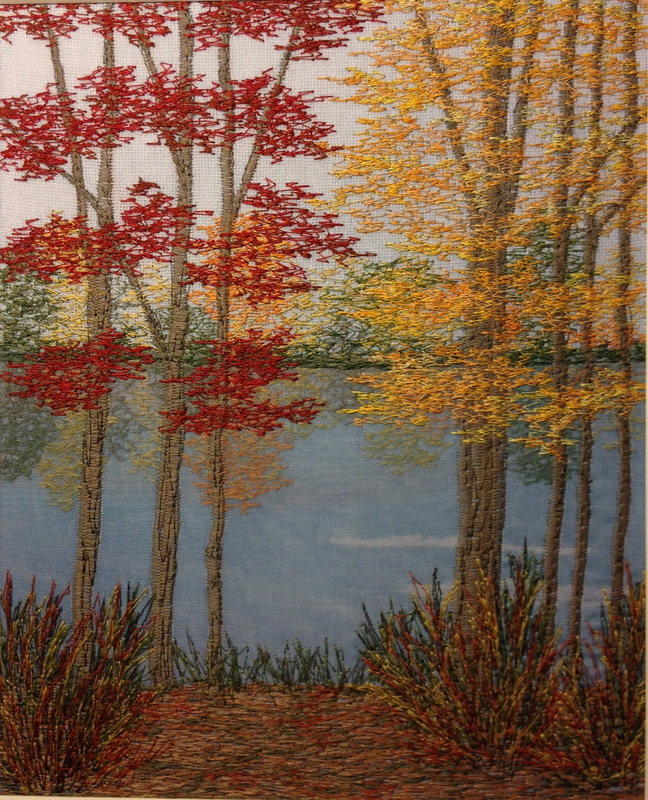 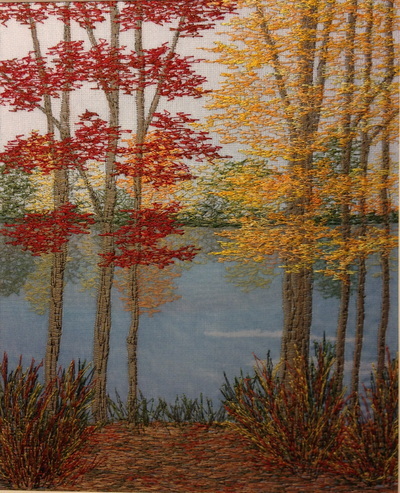 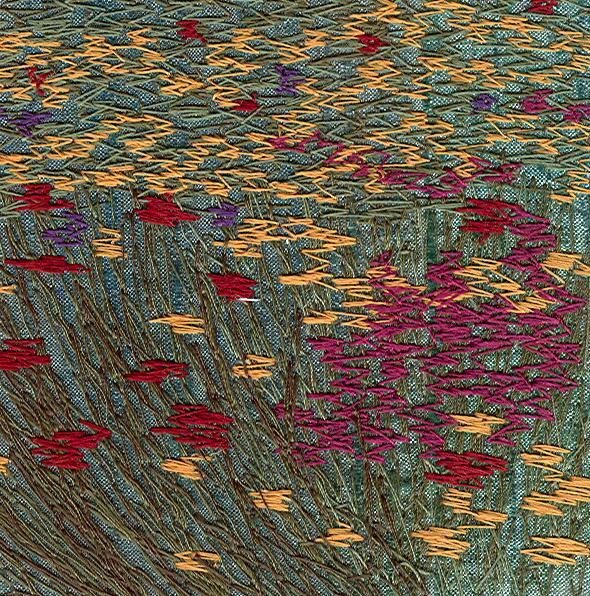 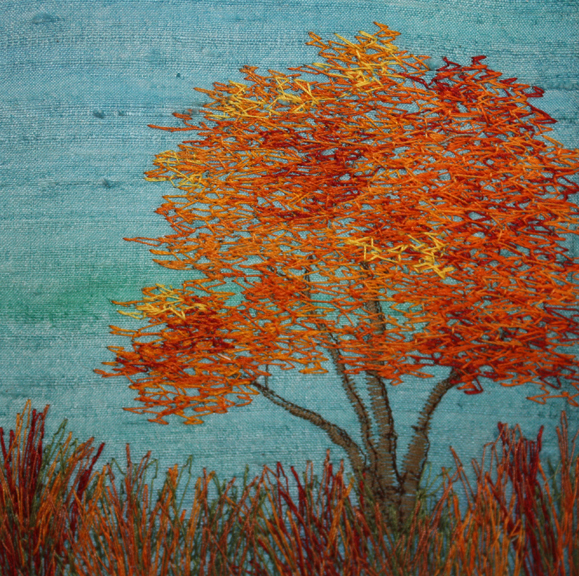 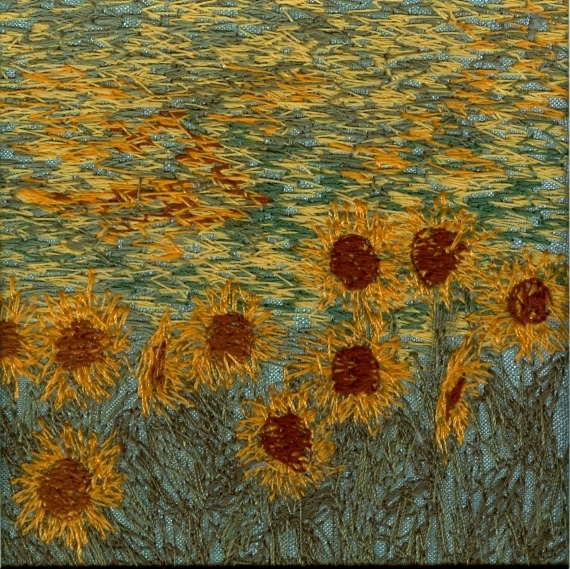 Painterly effects are created by thousands of stitches. 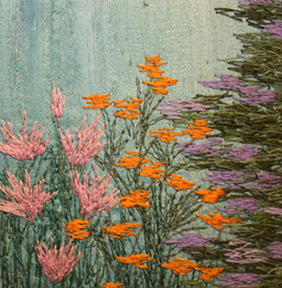 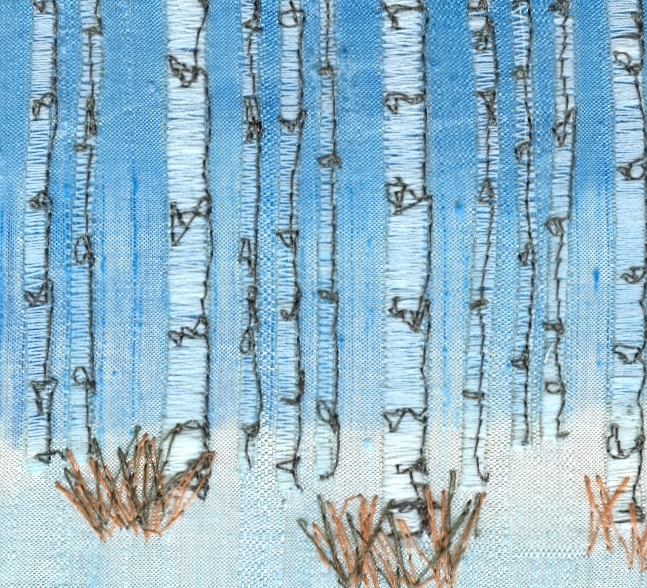 Texture is achieved by moving the fabric under the needle.